However, SMPS research also indicates that only a third of A/E/C firms provide business development training to their seller-doers! How can they be expected to succeed without any training or guidance? “Go do it” is not a strategy. 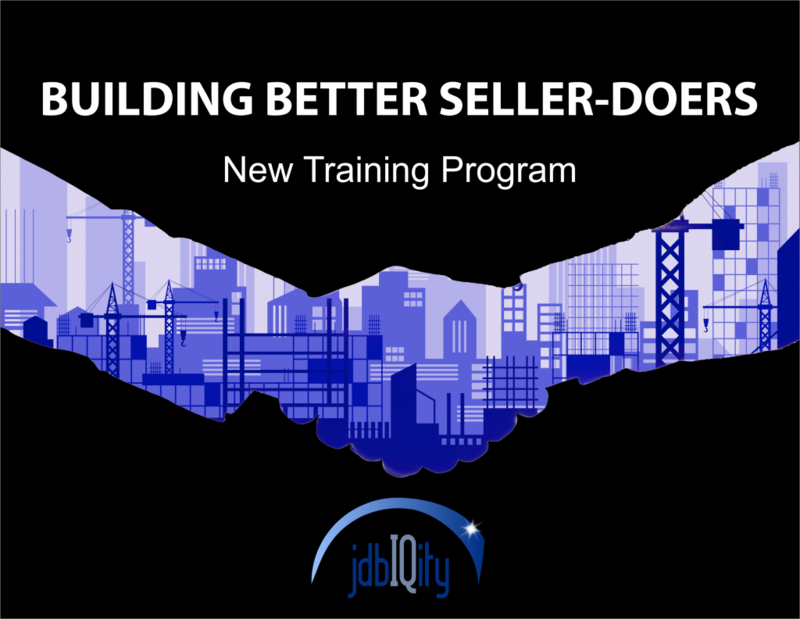 jdbIQity is pleased to offer an exciting new training program to “fill the gap,” providing technical professionals with the business development skills they need to succeed in their roles. Our Seller-Doer Training Program comprises 24 modules, each ranging from 30 minutes to an hour. The full program is 1 1/2 days; however, the content is customizable – chose the modules that are most relevant for your needs, or spread the training over multiple sessions (half-day minimum)! Our team is happy to work with you. Ready to reach for more and schedule a training or learn more about our program? Contact Scott D. Butcher, FSMPS, CPSM at 717-434-1543 or sbutcher@jdbe.com. Scott has trained thousands of professionals through presentations, conferences, in-house programs, and more. He’s one of the country’s thought leaders on the seller-doer model, leading related research from the Society for Marketing Professional Services / SMPS Foundation, authoring Sell. Do. Win Business. How A/E/C Firms are Using Staff to Win More Work, and co-leading / co-authoring the book A/E/C Business Development – The Decade Ahead. Scott blogs regularly about seller-doer tools and techniques for Marketropolis – the only sales and marketing blog on the Engineering News-Record website – as well as for jdbIQity.